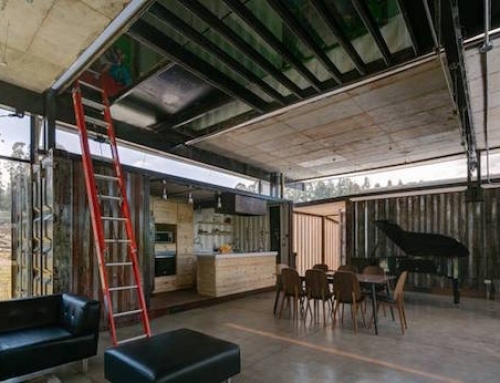 Shipping container architecture seems to be once again becoming quite popular. 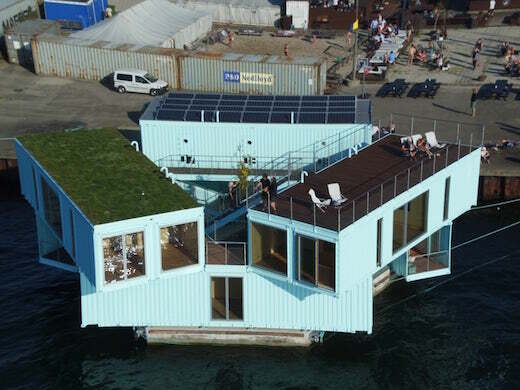 The well-known Danish firm Bjarke Ingels Group has recently completed a sustainable floating housing prototype for students living in Copenhagen. The project was commissioned by Urban Rigger, a local student housing startup. 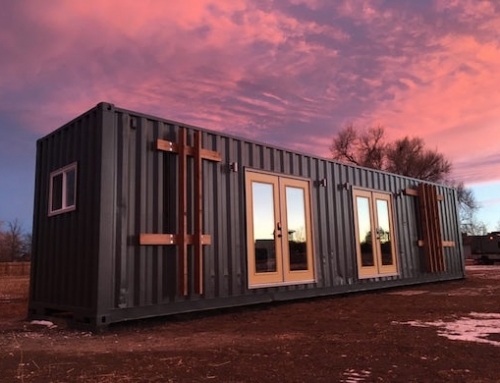 This student housing is made from repurposed shipping containers, and designed in a way that makes it possible to easily and quickly replicate the design just about anywhere. 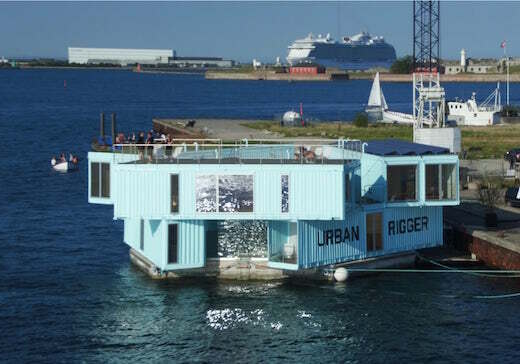 This so-called Copenhagen Urban Rigger housing is made of nine recycled shipping containers, which rest top a floating base in the harbor in Copenhagen. 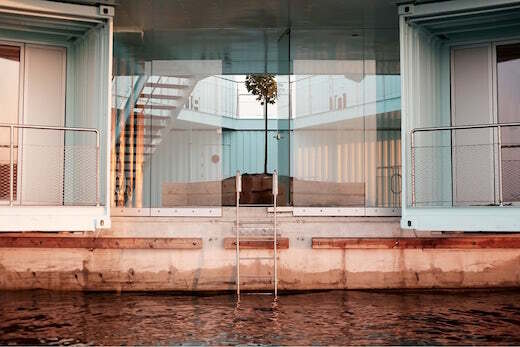 The entire structure has a total floorspace of 7,319 sq ft (680 sq m), which is divided up between the actual housing units, as well as a common garden/courtyard area, a bathing platform, a BBQ area, a kayak landing point, and a sitting area. The structure also features a communal roof terrace and a basement level, which has 12 storage rooms, a laundry room, and a technical room. The containers used for this project were left pretty much intact, save for cutting out the holes for the windows and doors as needed. The exterior façade was left in the original state, while the interior walls are clad in wood and drywall. 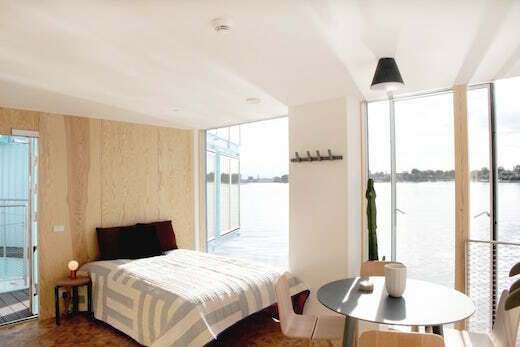 The rooms are cozy, spacious and furnished with simple, yet functional pieces. 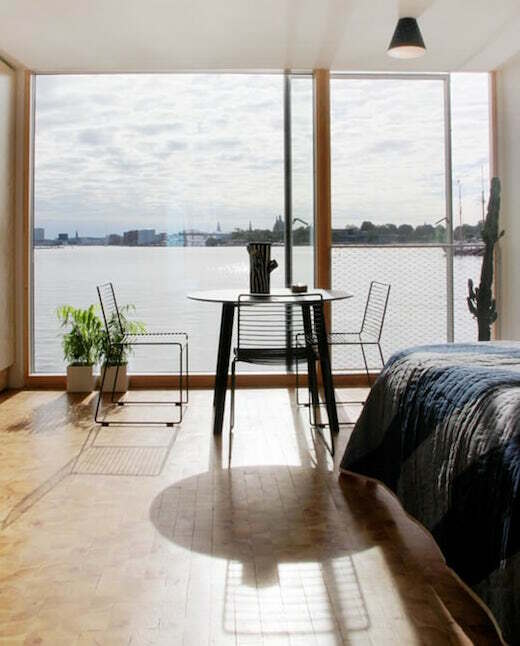 The large floor-to ceiling windows let in plenty of natural daylight, and offer great views of the harbor. 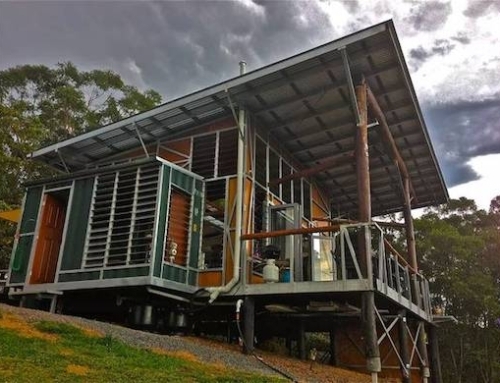 Adequate insulation was one of the main concerns for this project, and they used a special highly-insulating aerogel developed by NASA to make the containers comfortable to live in year round. 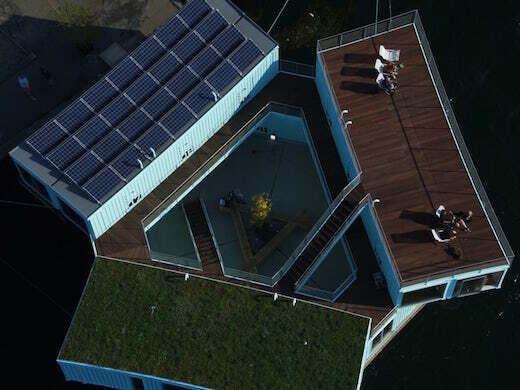 The Urban Rigger housing project also features a roof-top mounted solar array. 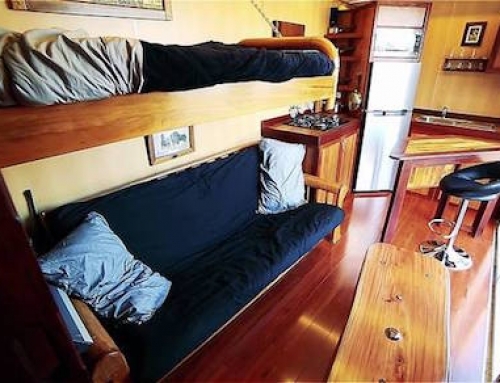 It also features a heat exchanger system, which uses seawater to heat and cool the interiors. 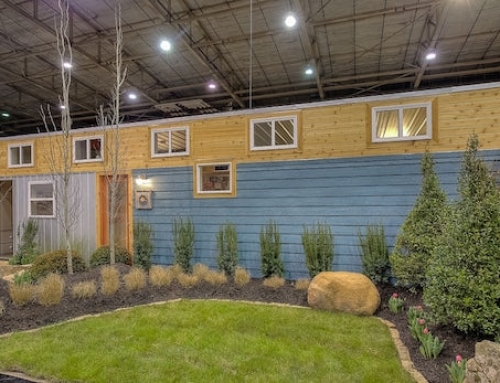 One of the containers also features a green roof. Monthly rent for one of the units comes to about $600 and they are currently working on assessing and refining the prototype. They also plan to start exporting the design to other cities. In Sweden, they will soon begin constructing a 24-unit project, while they are also thinking of adapting it, so that it could be used to house refugees.